One lucky winner will receive one signed book from each author on the hunt in my team --which is the TEAL TEAM. There are EIGHT contests going on simultaneously, and you can enter one or all. Go to the YA Scavenger Hunt page to find out all about the hunt and see the full list of prizes up for grabs and bonus material. My bonus material is a letter Lillian wrote to Lily which hasn't been published yet. It explains more of the dynamic between the two. Directions: You'll notice that I've "hidden" my favorite number somewhere in this post. Collect the favorite numbers of all the authors on the TEAL TEAM, and then add them up. Rules: Open internationally, anyone below the age of 18 should have a parent or guardian's permission to enter. To be eligible for the grand prize, you must submit the completed entry form by October 5th, at noon Pacific Time. Entries sent without the correct number or without contact information will not be considered. As part of the hunt, I am hosting author Lance Rubin! 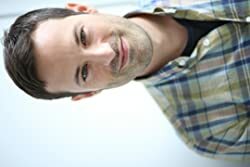 Lance Rubin is a New Jersey native who has worked as an actor and written sketch comedy, including successful runs of The Lance and Ray Show at the Upright Citizens Brigade Theatre. He's co-writing a new musical called Annie Golden: Bounty Hunter, Yo! He loves Pixar, the Knicks, Harry Potter, and Back to the Future. Lance lives in Brooklyn with his wife and son. Learn more at lancerubin.com and follow him on twitter @lancerubinparty. Lance's new book, Denton Little’s Deathdate, takes place in a world exactly like our own except that everyone knows the day they will die. For Denton, that’s in just two days—the day of his senior prom. Denton Little’s Deathdate takes place in a world exactly like our own except that everyone knows the day they will die. For Denton, that’s in just two days—the day of his senior prom. Lance has also been kind enough to provide us with a bonus scene. You can read it by clicking the link below. When you're done reading, be sure and buy Denton Little's Deathdate HERE! Also, before you go, don't forget to enter my personal contest to win signed copies of Trial by Fire and Firewalker. It's open to all. Use the Rafflecopter form below to enter. Okay, and now, on with the hunt. To participate in the Scavenger Hunt giveaway, you need to know that my favorite number is 9. Next up in the hunt, is author Margo Kelly!